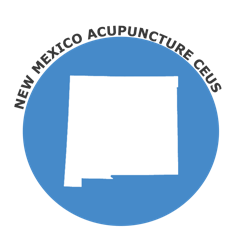 The State of New Mexico requires NCCAOM Certification for acupuncture license renewal. The New Mexico acupuncture board accepts NCCAOM Approved PDA/CEU courses for license renewal. Licensees are required to complete fifteen (15) hours annually, or sixty (60) hours every four (4) years, of NCCAOM approved continuing education courses or of courses approved by other acupuncture or oriental medicine licensing authorities. Please visit the NCCAOM PDA or CEU Course Page for current course offerings.